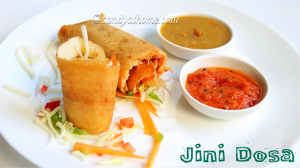 Jini dosa is popular mumbai street food that most of us wouldn’t have missed a chance to relish it. Jini dosa is a cheesy, spicy and yummilicious dosa loaded with veggies is a kind of pizza in street food version. 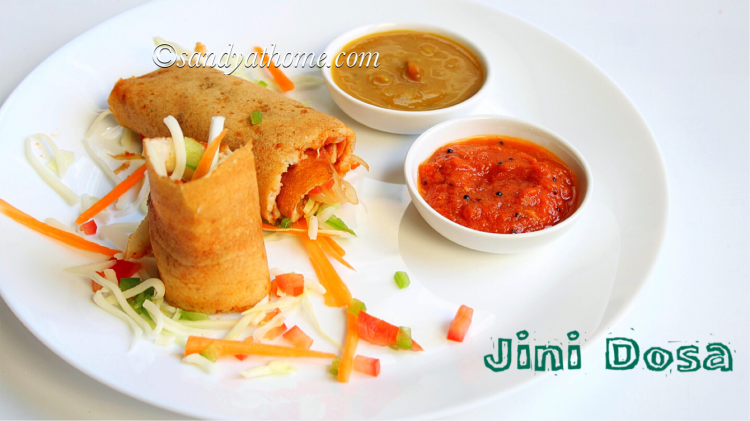 Jini dosa is often served in the form of rolls and served with sambar and chutney. This recipe below may not be exact recipe that street food vendor uses but will surely match at least tiny bits. 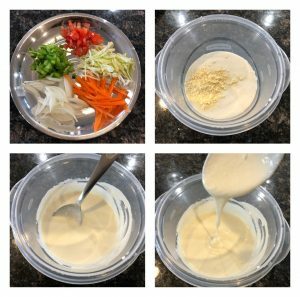 For the below recipe I used a spicy and tangy chutney as spread for dosa which can be replaced with any tangy or spicy chutney of your choice. Actually my friend who gave this recipe told me use the chutney in the recipe without tempering, since I felt raw smell from it and tempered it and then used. I also served the same chutney along with tiffin sambar for jini dosa which tasted excellent. You can prepare the tomato chutney a day before too and use it next day for dosa and serve the dosa with coconut chutney too. So lets get the making! Chop tomatoes and onion roughly for chutney. Add tomatoes, onion pieces, garlic, red chili and salt in a blender. Grind it into paste without adding water. Now heat oil in a pan add mustard seeds after it splutters add urad dal after it turns golden brown add curry leaves then add tomato paste and cook in medium flame with or without lid on. When you see oil separating and around the sides remove it from heat. Keep this chutney aside. In a bowl add 2 cups of dosa batter, to it add besan/ chickpea flour. Mix well without lumps. Slice all the the veggies thin and keep it aside. 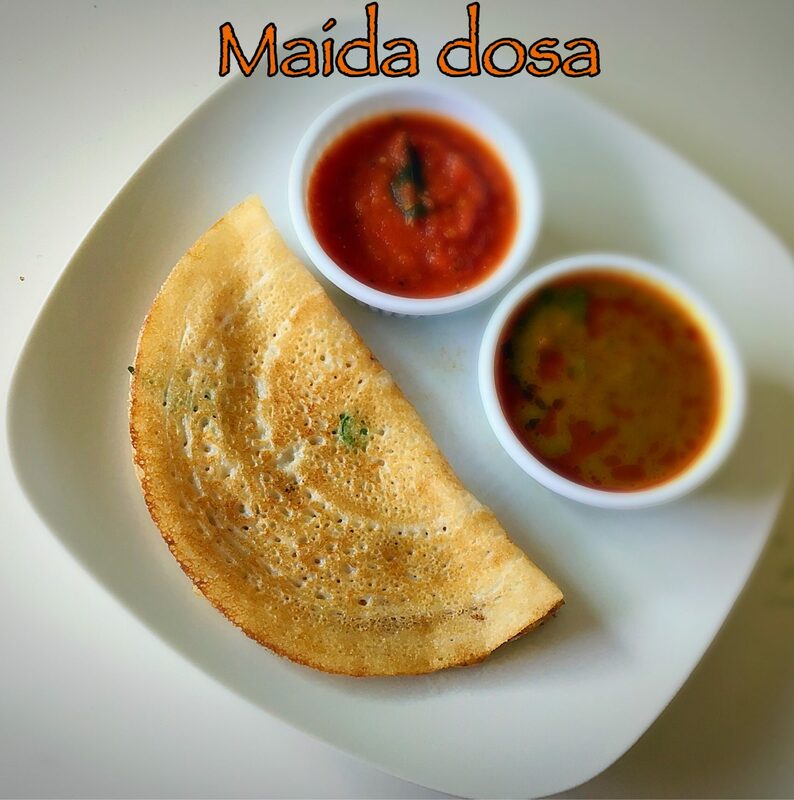 Heat a dosa pan/ tawa, spread a ladle of batter in circular motion to make dosa in medium flame. 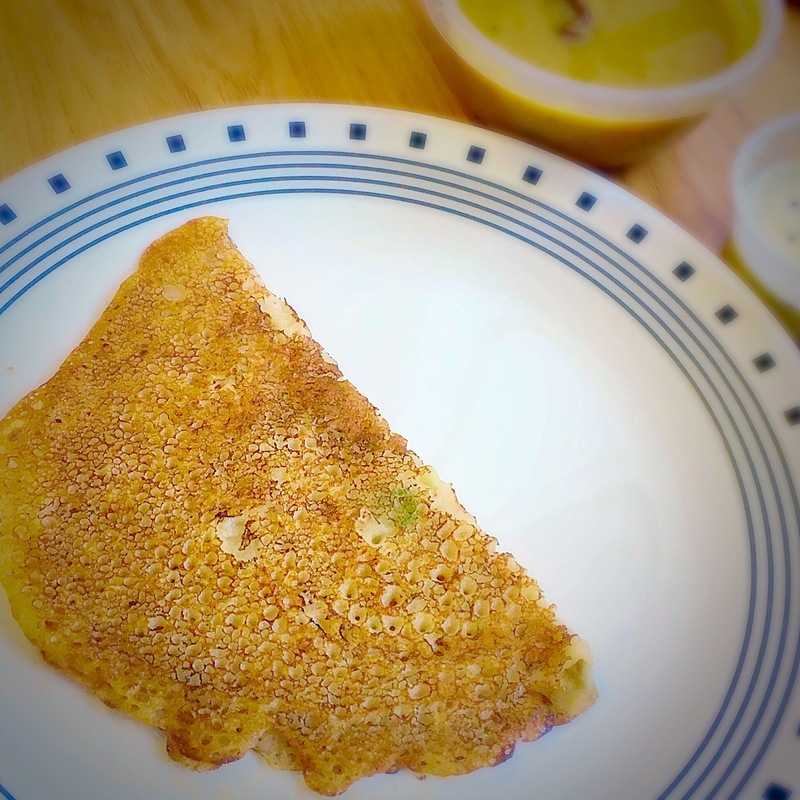 Drizzle dosa with little oil. Allow the dosa to cook. When the top part looks cooked add chutney on the dosa quickly. Since the chutney is already cooked you add the required quantity if veggies, paneer, cheese, salt, garam masala powder. Spread the veggies and chutney on the dosa and drizzle few drops of oil and allow it to cook in medium flame. When sides start to brown. 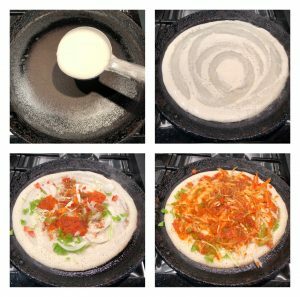 Cut the dosa vertically into 3 to 4 portions using pizza cutter/ knife according to the size of the dosa. 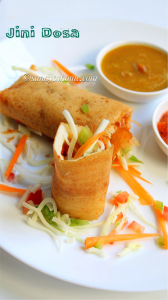 Now roll each portion tightly as we don't want the dosa to break or spill the filling. 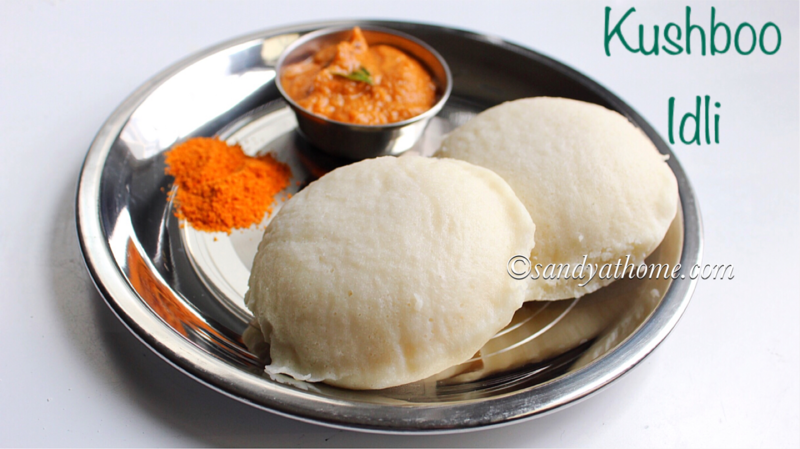 Now serve it with chutney or sambar immediately as the dosa will become soggy after a while. Chop tomatoes and onion roughly for chutney. Add chopped tomatoes, onion pieces, garlic, red chili and salt in a blender. Grind it into paste without adding water. 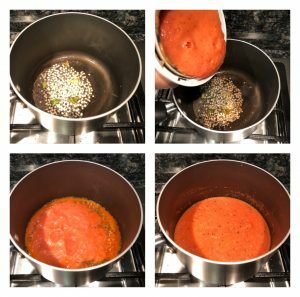 Now heat oil in a pan add mustard seeds after it splutters add urad dal after it turns golden brown add curry leaves then add tomato paste and cook in medium flame with or without lid on.Kep the flame in low while adding the paste as it will splutter lot. When you see oil separating and around the sides remove it from heat. Keep this chutney aside. Heat a dosa pan/ tawa, spread a ladle of batter in circular motion to make dosa in medium flame. 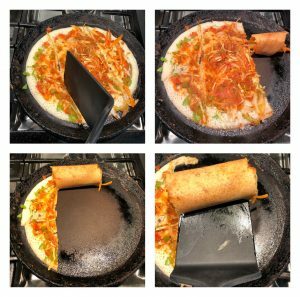 Drizzle dosa with little oil. Allow the dosa to cook. When the top part looks cooked add chutney on the dosa quickly. Since the chutney is already cooked you add the required quantity if veggies, salt, garam masala powder. Spread the veggies, paneer, cheese and chutney on the dosa and drizzle few drops of oil and allow it to cook in medium flame. When sides start to brown. Cut the dosa vertically into 3 to 4 portions using pizza cutter/ knife according to the size of the dosa. Now roll each portion tightly as we don’t want the dosa to break or spill the filling. 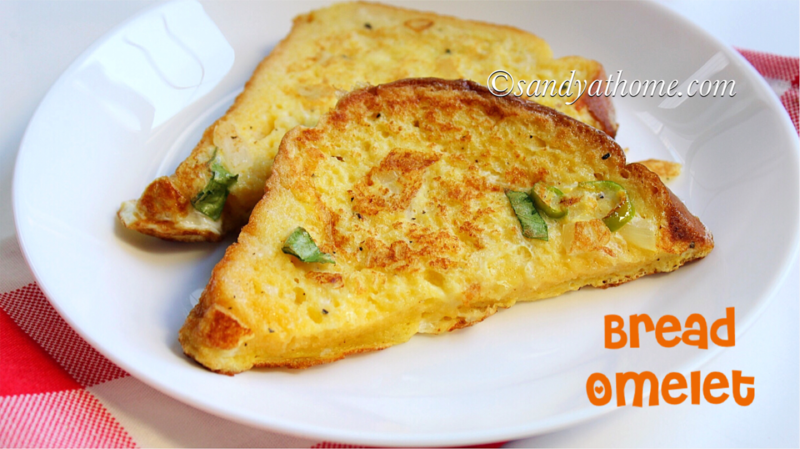 Now serve it with chutney or sambar immediately as the dosa will become soggy after a while.